Where do minerals get their names? Do you possibly even share your name with a mineral? How would a mineral (like yours) look and what properties might it have if you could create it yourself? 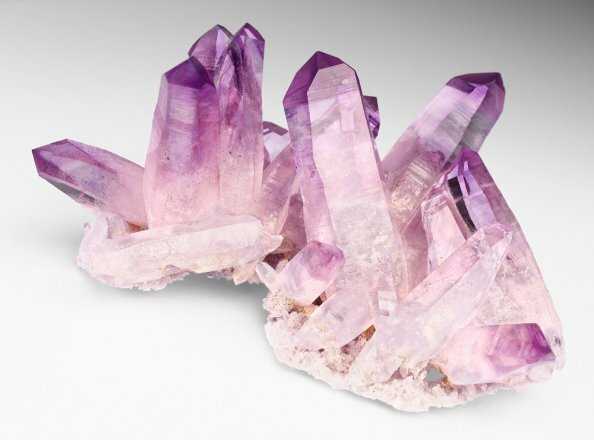 Amethyst, Las Vigas de Ramirez, Veracruz, Mexiko, 8 x 4,7 cm, crystal size up to 3,7 cm, Photo: Jörg Wittig, Dresden. Zircon, Darrar-Pech, Nangarkar, Afghanistan, 18 x 9 cm, Photo: Jörg Wittig, Dresden. 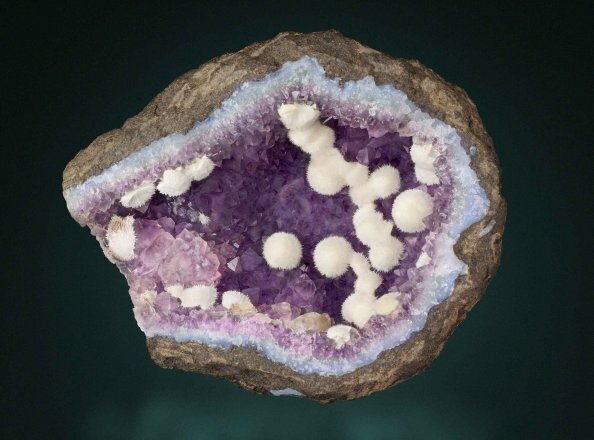 A bunny, a Christmas tree, a fried egg or a melon – minerals can take the strangest shapes. Get ready for a fun, discovery-filled search in the exhibition. Fluorit, Mahodari bei Nashik, Maharashtra, Indien, 10,5 x 4,5 cm, Foto: Jörg Wittig, Dresden. 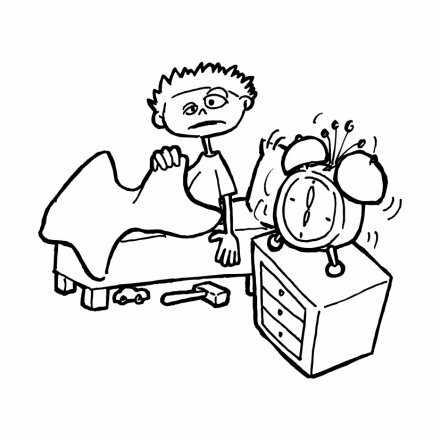 There are minerals hidden in your alarm clock in the morning, on the surface of your blackboard at school, or on the footpath under your shoes. Hardly anyone knows we’re surrounded by minerals all day long. That’s why at “mineralinos”, terra mineralia’s kids club, we’ll be looking at minerals in our everyday lives from 4pm on Monday 7 March. We interact with minerals from morning till evening but often we don’t realise it. 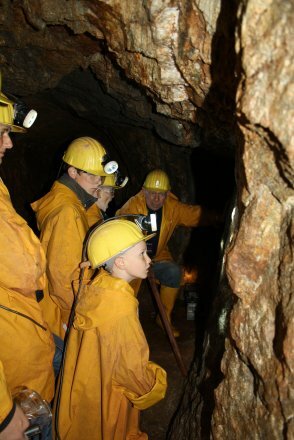 Here at terra mineralia, boys and girls will learn more about minerals’ everyday uses on an exciting journey through their day. Quartz takes care of the tick once a second in quartz watches. But it’s also the basic material for manufacturing glass or producing solar cells. Minerals are just as indispensable for manufacturing clothes or paper. They even live and grow inside of our own bodies. But which minerals we use for what purposes mostly depends on their characteristics and the elements they contain. Diamonds are used in drills and saw blades because of how hard they are. Copper is handy for cables with its high electrical conductivity. And when they’re carrying out x-rays, doctors reach for baryte solutions so they can see kidneys and bladders better. 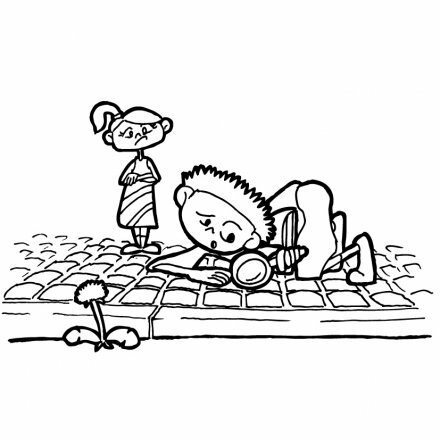 Sometimes they come across kidneys stones which, how could it be otherwise, are also made of minerals! The mineralinos meet at the terra mineralia ticket office in Freudenstein Castle. For more information, please contact the Information Desk on 03731 394654 or fuehrungen@terra-mineralia.de. Sessions cost €3 per child, free with an annual pass. In the morning, quartz watch, drawing: Daniel Lorenz, zucker im kaffee. Footpath, pavingstones, drawing: Daniel Lorenz, zucker im kaffee. 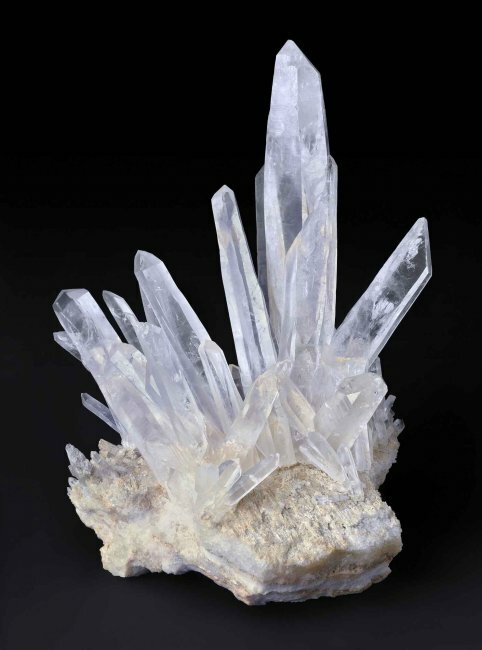 Quartz is a component of countless rocks. Yet, like people and animals, it changes in the course of its life. 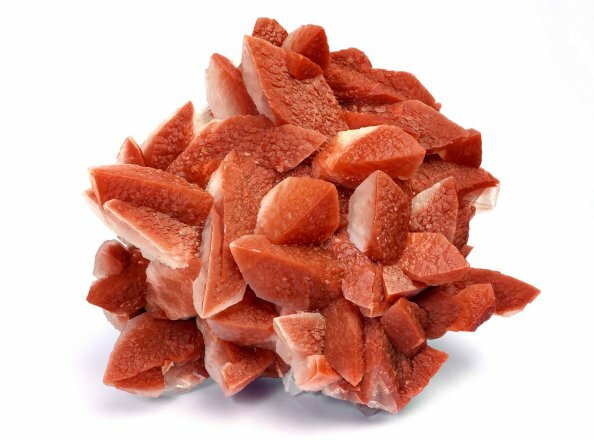 You will get to know quartz as a large crystal in granite, but also as a small, round grain of sand found in sandstone. Gold and silver are highly sought after precious metals, but few people know that gold and silver are actually minerals in their own right, because they form small cubed crystals. 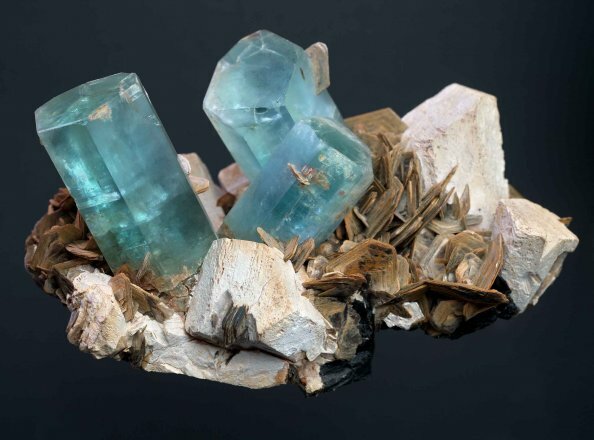 At their next meeting on 2 May from 4pm, the mineralinos will be taking a closer look at these two minerals. 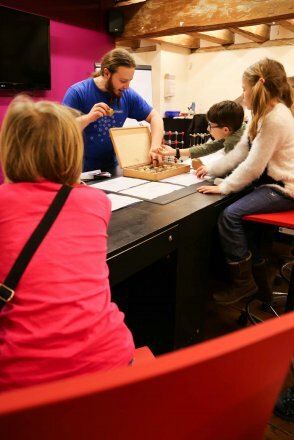 The girls and boys of terra mineralia’s kids club will be learning more about the properties of gold and silver. In what forms are these two minerals found? Where are the largest deposits? Can gold and silver only be used for making jewellery? Most people associate gold and silver with the production of jewellery or coins, but both metals also play a significant role in technology. Gold is contained in the electronics of both smartphones and televisions. Silver is even found in medical disinfectants at the doctor’s rooms or in canteens. In fact, the first photographs wouldn’t have been possible without silver. Sports medals are partly made of gold and silver. However, just like medals, these two metals also have another side. Some of the extraction methods used are highly dangerous for people and the environment, and yet they’re still in use today. The mineralinos meet at the terra mineralia ticket office in Freudenstein Castle. For more information, please contact the Information Desk on 03731 394654 or fuehrungen@terra-mineralia.de. Sessions cost €3 per child per day visit, or free of charge with an annual pass. 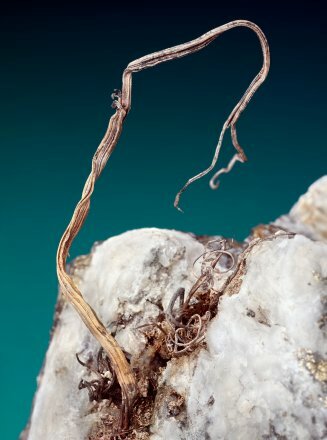 Wire Silver, Tengchong, Yunnan, China, Length of the wire: 6 cm, Photo: Jörg Wittig, Dresden. 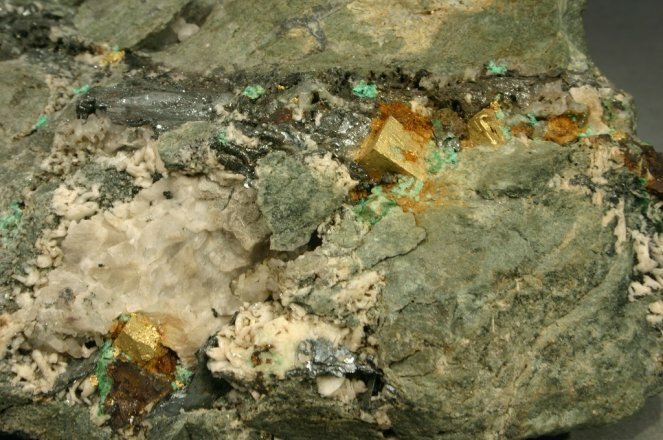 Gold, Bodaibo, Sibiria, Russia, Photo: René Köhler. Geologists go on excursions so they can find rocks and minerals. But you can’t find them just like that – it requires proper planning and preparation. When the mineralinos, terra mineralias kids club, next meet on Monday, 6 July at 4pm, we’ll be discussing the main issues to do with the forthcoming excursion. Specifically, we’ll be talking about the tools a geologist needs for looking for rocks and minerals. The kids will learn what kind of hammer you need, and what aids geologists use to identify minerals in the ground. The right clothing – such as sturdy shoes, a jacket, a hard hat and, of course, a rucksack for carrying the finds – is also very important. That’s why we’ll be talking in detail about what to wear on an excursion, and what not to wear. 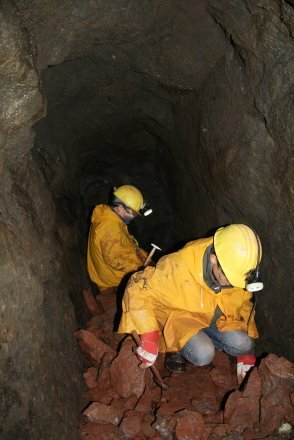 And, finally, you also need to know where exactly to look for minerals in the ground and which minerals you can expect to find there. But where will the forthcoming excursion on Saturday, 11 June, actually be to? 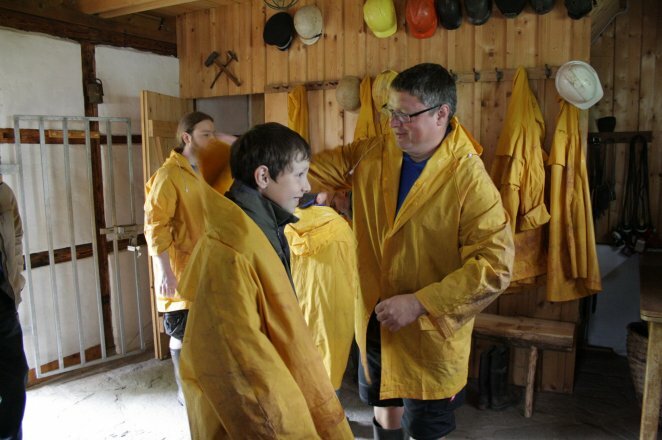 We’ll be going to the mine at Lichtenberg near Freiberg. 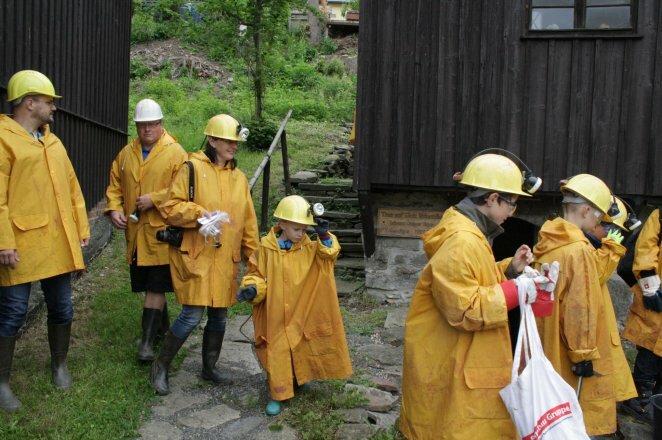 There, we’ll be going in small groups into a real mining gallery about 280 metres into the mountain. 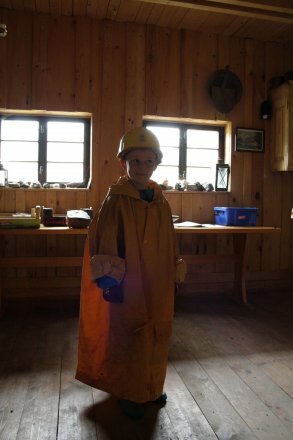 The girls and boys will see how mining was done 200 years ago. At the end of the tour, there’s a fluorite gallery waiting for them where the kids can quarry and collect fluorite for themselves. The mineralinos meet at the terra mineralia ticket office in Schloss Freudenstein. For more information, please contact the Info Desk on 03731 394654 or fuehrungen@terra-mineralia.de. Children pay an entry fee of €3 per child or enter for free with an annual pass. On Saturday 11 June 2016, we plan to go on our summer excursion with the children and young people from mineralinos/Mineralogen AG. 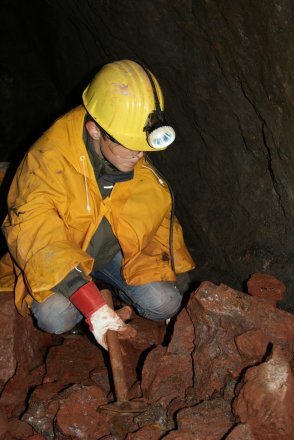 This year, we’re going to the exhibition mine at Lichtenberg to look for underground minerals there. Your child/young person may not take part in the excursion without these items. The underground tour is led by Herr Fahndrich. He will be assisted by one of our students. 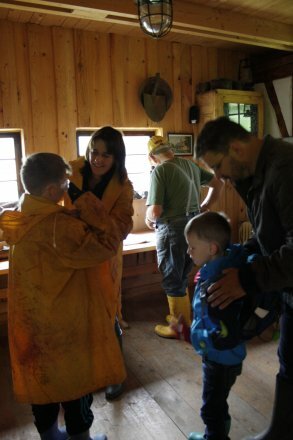 While your child/young person is below ground, you’re welcome to visit the Huthaus building and the small farming museum in a barn. Please instruct your child/young person to follow their guide’s instructions exactly. Places are limited to 20 children/young people. The trip costs €2 per child. 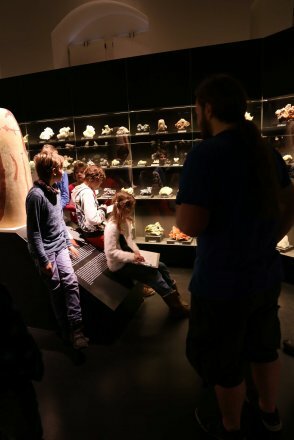 Please register your child/young person with the terra mineralia Info Desk (03731 394654 or fuehrungen@terra-mineralia.de) by Wednesday 8 June 2016. Watch out, holidaymakers! The holidays themselves are sadly over but the memories still remain. Many children no doubt have rocks and minerals they want to bring with them. 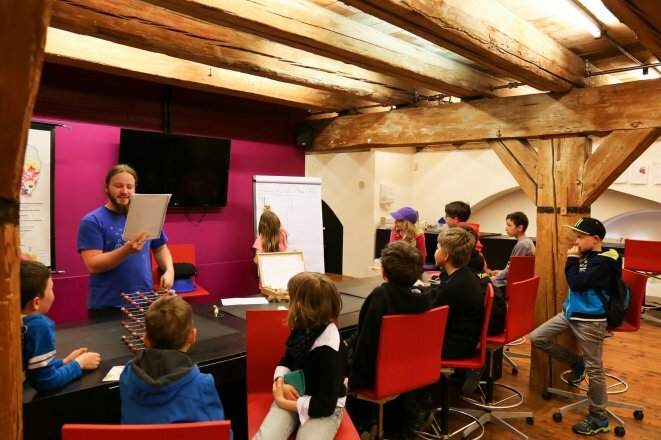 At our first mineralinos meeting after the summer holidays, boys and girls will have the opportunity to identify their own finds in the Voyage of Discovery – terra mineralia’s science centre – or even swap them with other children. After every trip or holiday, your personal collection of minerals, rocks or mussels just keeps growing. Whether you’re walking or swimming, you keep finding little treasures that are somehow special. But what is it exactly that you have in your hands? Is it just a stone from the Baltic, or is it in fact genuine flint? Is the stone from the Alps just grey, or might there perhaps be a quartz hidden in there? Under our guidance, enthusiastic little collectors can identify their finds using simple mineralogical methods, label them and learn interesting facts about them. For eager collectors with duplicate finds or minerals that they too often just leave at home, we’ll also have a little swap shop. Here, you can get acquainted with other children’s finds – but most of all swap and bargain to expand your own collection. The mineralinos meet at the terra mineralia ticket office in Freudenstein Castle. For more information, please contact the Information Desk on 03731 394654 or fuehrungen@terra-mineralia.de. 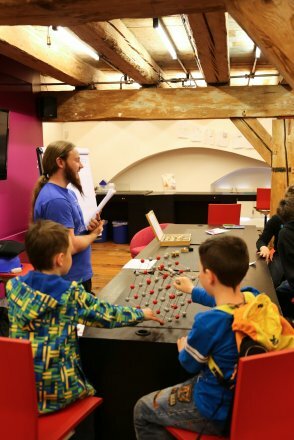 Sessions are €3 per child, free with an annual pass. 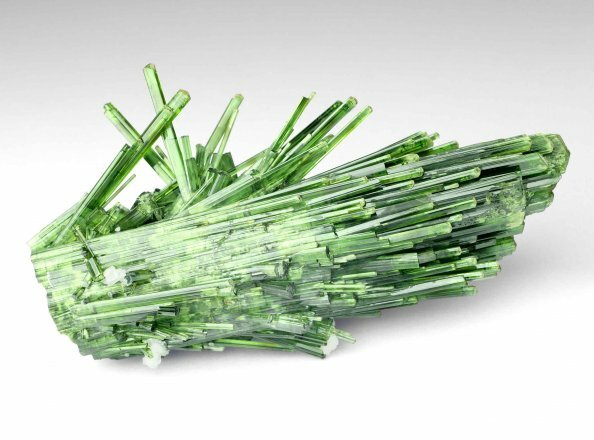 Aquamarine, brazilianite and tourmalines of all colours – many wonderful gems and precious stones come from Brazil. 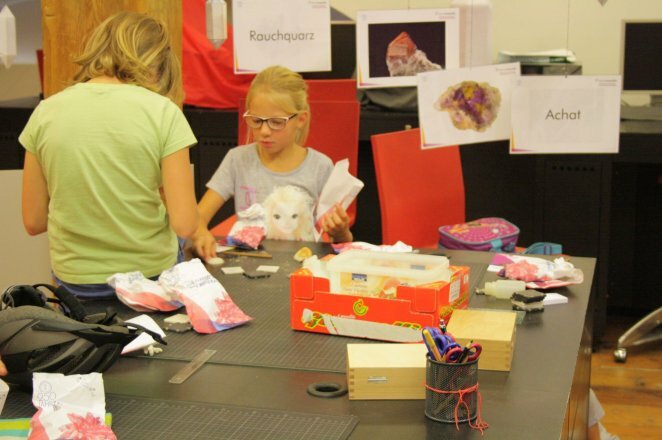 At the meeting of the mineralinos, the terra mineralia kids‘ club, the young participants will get to know the most beautiful Brazilian minerals and will discover which deposits they are found in. The states of Minas Gerais and Rio Grande do Sul are famous for their mineral-rich deposits. Crystal-clear quartz crystals, wonderful amethysts and valuable gemstones like light-blue aquamarines or green emeralds originate from here. In some Brazilian deposits, one can also find tourmaline, which comes in countless different colours. As a result, it’s not that easy to remember all of the tourmaline’s colour variations and names. The girls and boys will get to know all of these minerals on a tour through the American Hall. 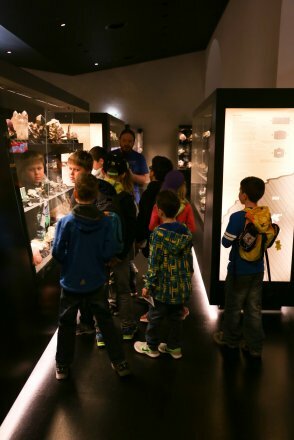 Here, they will be excited to discover which mineral is typical for which deposit, how you can identify it, and even what you should have in your own collection. 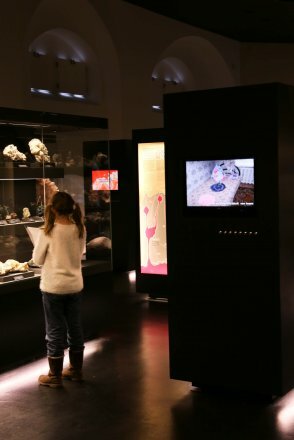 As a special finale, the “mineralinos” will visit the current special exhibition, “Crystal Magic – The Hidden Glamour of Dark Tourmaline”, which is open until 25 September. 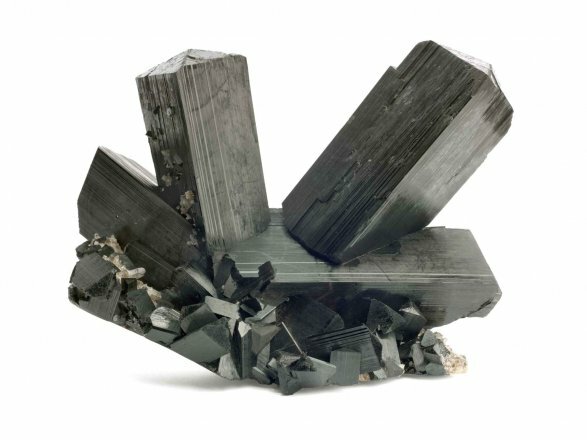 Here, they will get a closer look at the “schorl” – the completely black variety of tourmaline. After a short overview, the mineralinos will be amazed by the incredible colours that can hide inside the thin discs of schorl. The mineralinos will meet at the terra mineralia ticket counter in Freudenstein Castle. More information can be obtained from the information desk on 03731 394654 or fuehrungen@terra-mineralia.de. The participation fee is €3 per child, or free with an annual ticket. 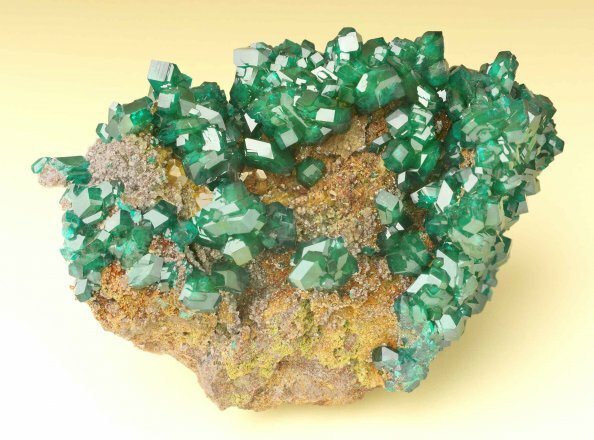 Verdelite, Minas Gerais, Brazil, 10 x 6 cm; Photo: Jörg Wittig, Dresden. 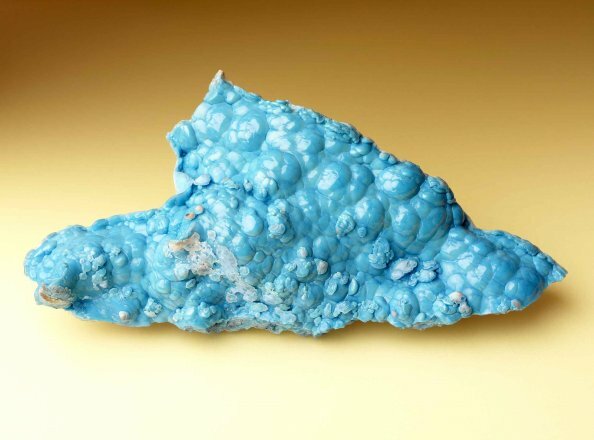 Aquamarin, Virgem da Lapa, Minas Gerais, Brasil, 20,5 x 12 x 10,5 cm, Photo: Jörg Wittig, Dresden. Numerous secrets of India’s minerals and precious stones will be revealed at the meeting of the mineralinos on Monday, 17 October 2016. India is often called the mysterious subcontinent. 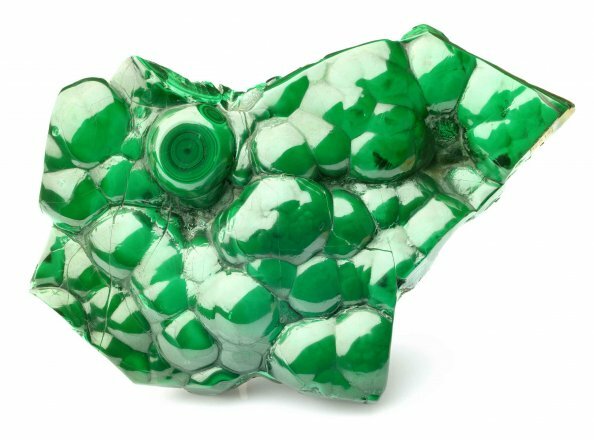 Much has happened during the course of millions of years, which is why we can find beautiful minerals and precious stones today. From a geological perspective, India “raced” away from the African coast until it hit Asia – all within the space of a few million years. As a result of the collision, before the Himalayas formed with its numerous precious stone deposits, India wandered over a so-called hot spot. This “hot spot” led to massive volcanic eruptions and enormous lava flows. The mineralinos meet at the ticket office of terra mineralia in the Freudenstein Castle. Additional information can be obtained from the information desk 03731 394654 or fuehrungen@terra-mineralia.de. 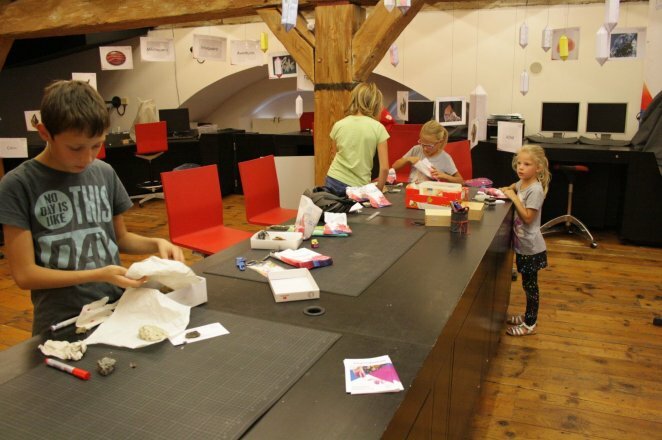 Participation fee is 3 euros per child and is free for annual card-holders. 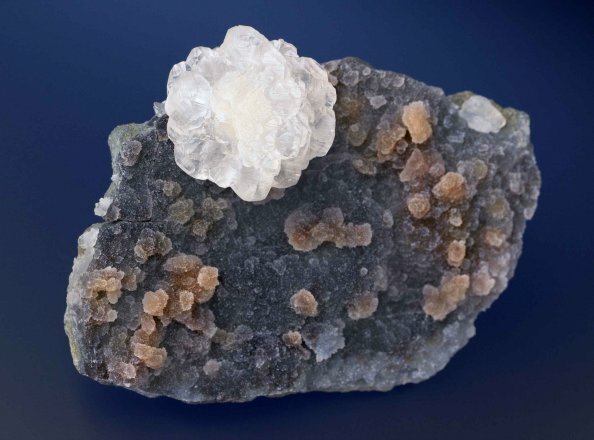 Calcite, Dahisar near Mumbai, Maharashtra, India, 10,5 x 7,5 cm, Photo: Jörg Wittig, Dresden. 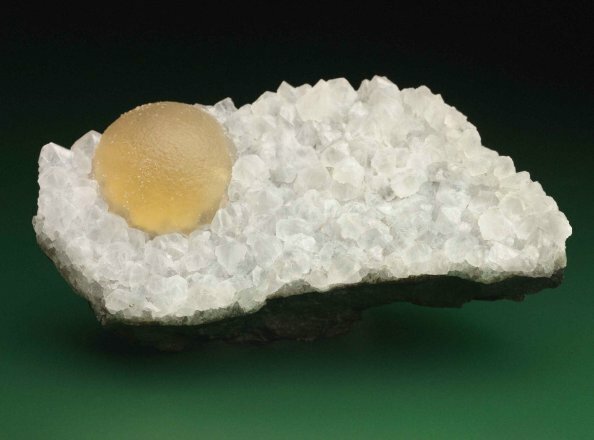 Quartz with Okenite, Shirdi, Maharashtra, India, 12 x 11 cm, Photo: Jörg Wittig, Dresden. Mesolithe with Apophyllite, Mahad, Maharashtra, India, 11,5 x 7,5 cm, Photo: Jörg Wittig, Dresden. Our benefactor, Dr Erika Pohl-Ströher, has visited the mineral paradise of Namibia on several occasions. For it is here that one of the most important mineral treasure troves in the world is located: Tsumeb. The mineralinos will be getting to know lots of minerals from this renowned deposit at their meeting on Monday 7 November at 4pm. Tsumeb lies in the north of Namibia. 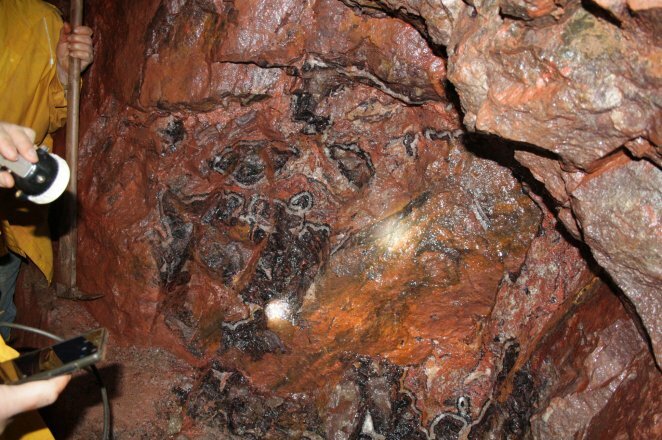 Nearly 300 different minerals have been found in the copper deposit. There’s something here to suit everyone’s tastes – if you like strong colours, you can find the copper minerals dioptase, azurite or malachite. The latter two are so closely related that they can morph into one another. But cerussite, too, which looks like a giant snowflake, or smithsonite, found in innumerable different colours, both come from this deposit. One mineral from Tsumeb was even named after our benefactor. 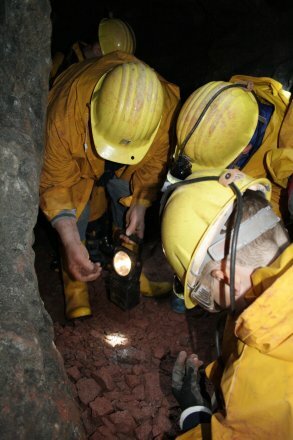 The mineralinos will have the opportunity to put it ‘under the magnifying glass’. 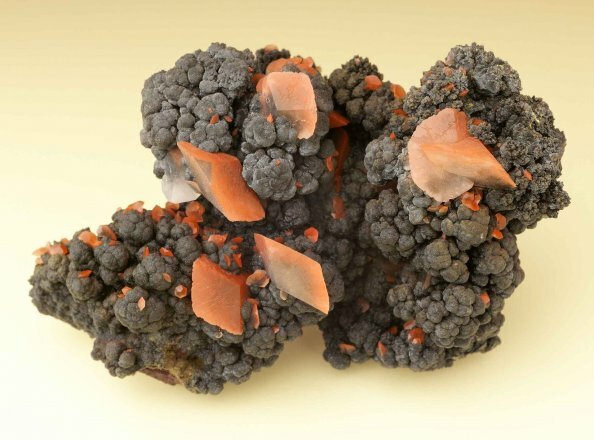 Dioptas with Wulfenite, Tsumeb, Otjikoto, Otavi Mountain, Namibia, 9,5 x 6,3 cm, Photo: Jörg Wittig, Dresden. 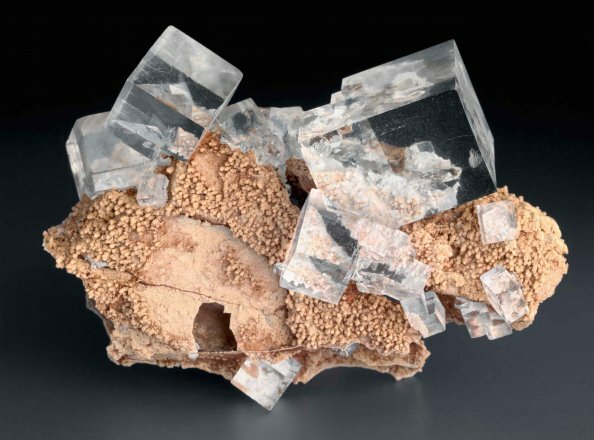 Calcite on Coronadite mit Mottramit, Tsumeb, Otjikoto, Otavi Mountain, Namibia, 10 x 6,5 cm, Photo: Jörg Wittig, Dresden. 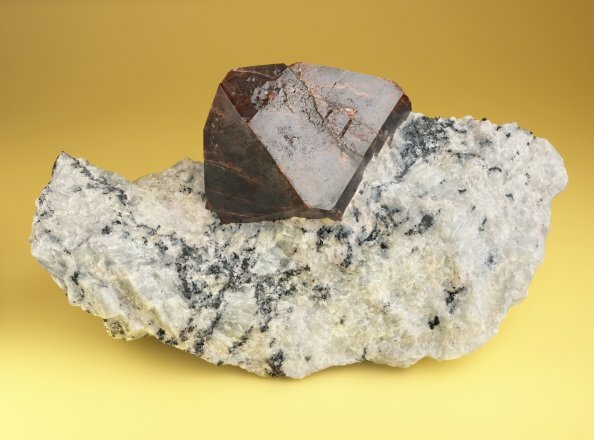 Schörl-Foitite, Erongo Mountain, Erongo, Namibia, 20 x 18 cm, Photo: Jörg Wittig, Dresden. 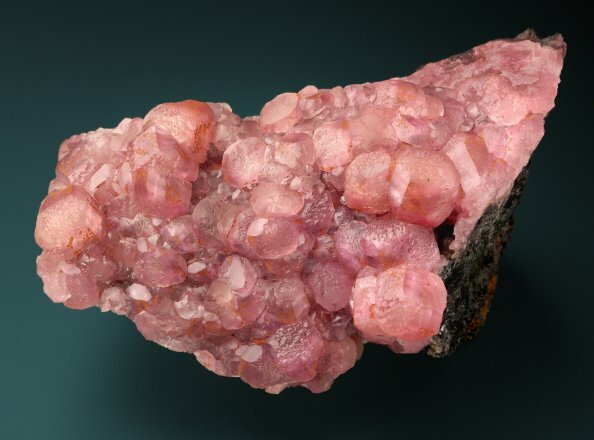 Smithsonite, Tsumeb, Otjikoto, Otavi Mountain, Namibia, 11 x 6 cm, Photo: Jörg Wittig, Dresden. 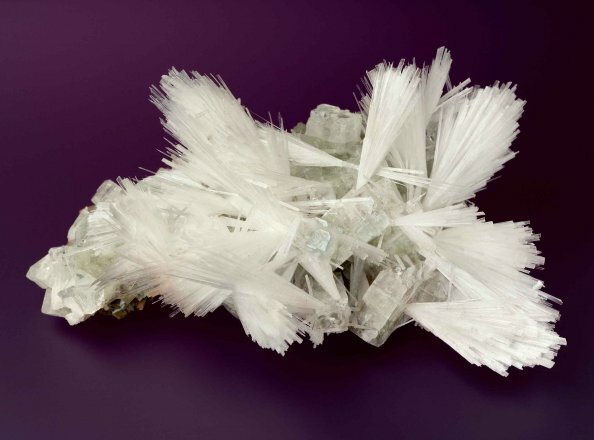 Quartz, Goboboseb Moutains, Erongo, Namibia, 17 x 11,5 cm, Photo: Jörg Wittig, Dresden. Big, green emeralds, blue sapphire, gold – Russia is known for its mineral wealth. 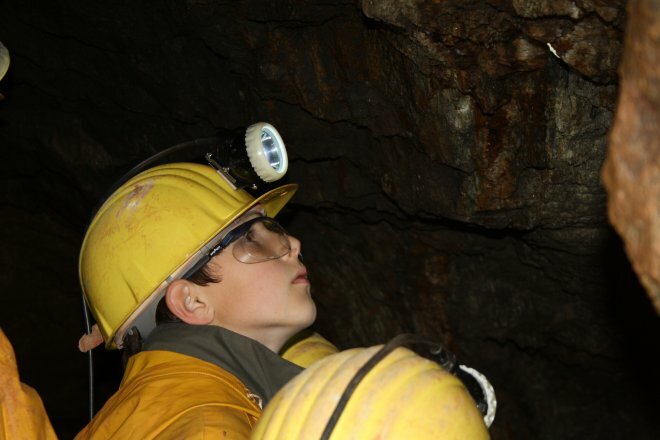 At the mineralinos meeting on Monday, 5 December at 4pm, the children will get more closely acquainted with minerals from the most important Russian deposits. Gemstones such as topaz, emerald or sapphire come from the Urals. The crystal clear fluorites from Russia’s far east are however extremely rare. They were important in the manufacture of lenses in microscopes. Today they are manufactured artificially using labour-intensive methods. But Russia also has large rock crystals and cairngorms to offer. 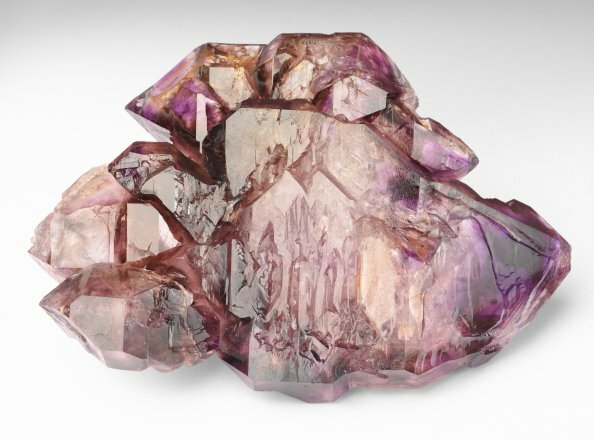 It is from here that the rare, violet-coloured charoite also originates, discovered only by chance during construction works on a stretch of railway track. 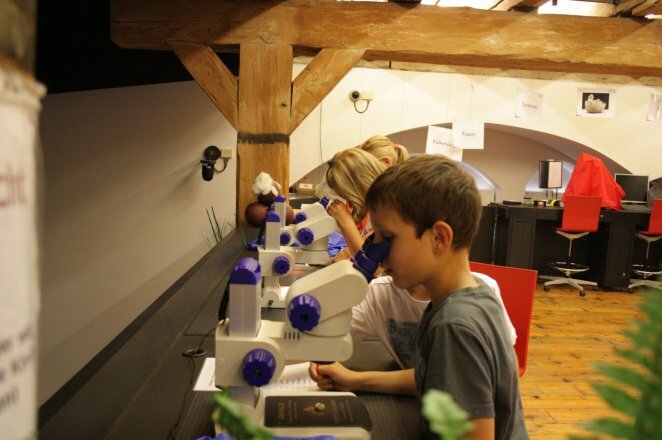 In a festive atmosphere, parents too can learn more about Russia’s most beautiful minerals. The mineralinos meet at the terra mineralia ticket office in Freudenstein Castle. For more information, please contact the Information Desk on 03731 394654 or fuehrungen@terra-mineralia.de. Sessions cost €3 per child, free with an annual pass. Fluorit, Dalnegorsk, Primorskij Kraj, Far East, Russia, 10,5 x 8,5 cm, Photo: Jörg Wittig, Dresden. 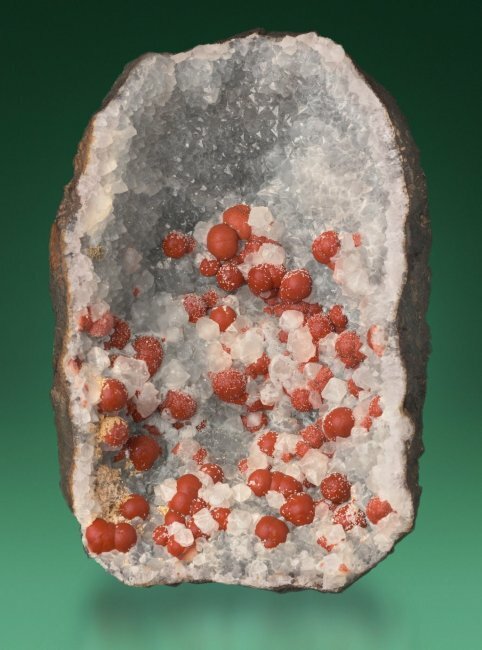 Malachit, Niznij Tagil, Swerdlowskaja Oblast, Middle Ural, Russia 17,5 x 11 cm, Photo: Jörg Wittig, Dresden.